There’s a story behind the stores. 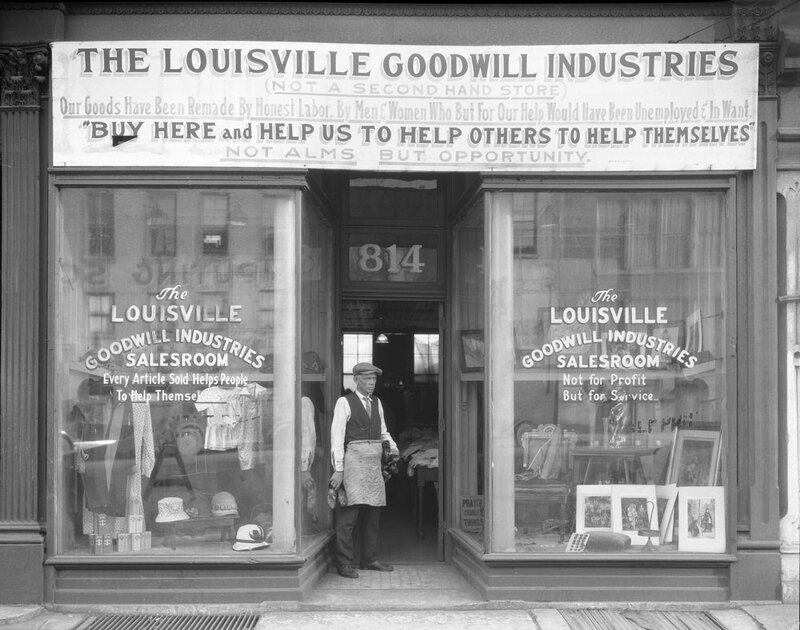 Goodwill Industries of Kentucky is a 501(c)(3) nonprofit organization, headquartered in Louisville since 1923. We serve 103 Kentucky counties and employ about 1,300 people. Our staff members have placed thousands more into jobs outside of Goodwill by developing relationships with hundreds of employers throughout Kentucky. 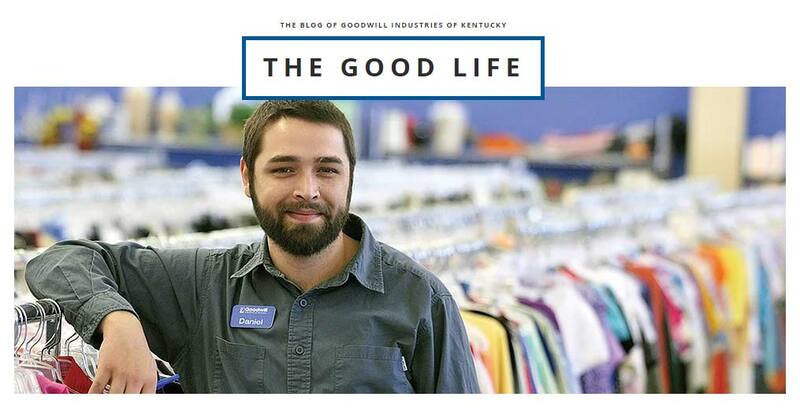 Goodwill Industries of Kentucky helps people with disabilities or other disadvantages achieve and maintain employment to gain a better quality of life. We give people a hand up—not a handout—so they can experience the dignity and independence that comes from earning a paycheck and achieving self-sufficiency. Learn more about our strategic plan that guides the important work we’re doing for Kentuckians! While Goodwill is best known for retail stores, they’re not nearly the whole story. We accept and sell donated items for multiple reasons and with many benefits! About half of our employees have a disability or other challenge. The jobs created by our stores teach employees how to accept, sort, and process donations; operate a cash register; practice time management and goal-setting skills; maintain general cleanliness of the store, and develop management abilities. 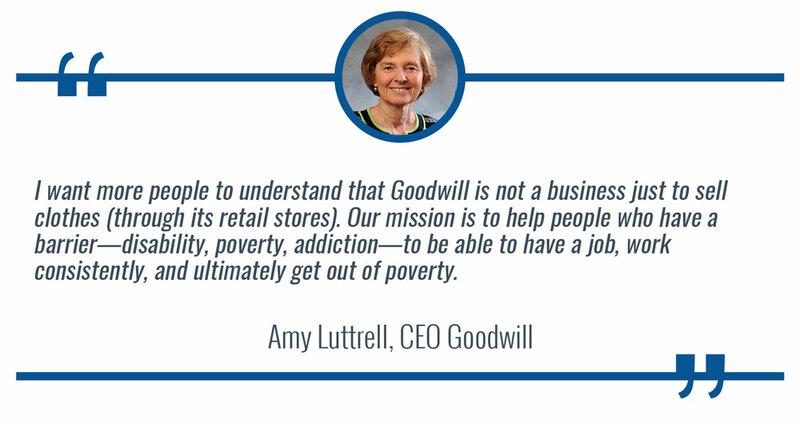 Our stores generate revenue that allow Goodwill to offer free employment and career path services. Many Kentuckians want to work, but they need help identifying their skills and abilities, finding employment, and learning how to succeed long-term. Goodwill provides services to job seekers, those who want to advance in their career (including our own employees), and employers throughout Kentucky who need to fill permanent, full-time positions that offer benefits and a career path. 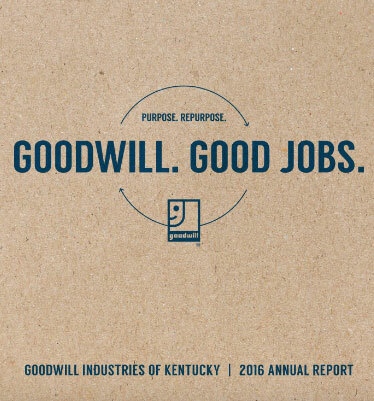 Thanks to our retail stores, Goodwill diverts about 50 million pounds of items from Kentucky’s landfills every year. Many items that can’t be offered for sale in our stores are sold for recycling, further funding our job preparation and career services. This is Amy. She is our President & CEO. Our President & CEO is Amy Luttrell. 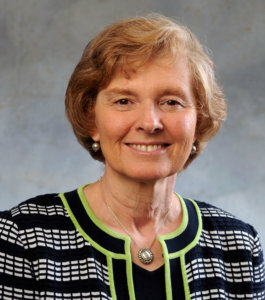 She spent decades working for Goodwill organizations in Tennessee, Pennsylvania, and Ohio before moving to Louisville in 2014 to lead Goodwill Industries of Kentucky. The best part? She’s a native of the Bluegrass State and so glad to be back home. Is she making millions of dollars a year? Nope! But Amy is an experienced business leader and is fairly compensated for her role, which requires her to oversee a $60 million annual budget and 1,300 employees. Her compensation, which totals less than 1% of the organization’s budget, is determined by our local board of directors, with the assistance of an independent consulting firm to make sure it’s appropriate for the responsibilities she carries. In 2017, we paid nearly $14 million in wages to people who have disabilities or other barriers, including limited education, background challenges, or chronic unemployment. In addition to earning competitive wages, Goodwill employees have access to career coaches, on-the-job training, tuition reimbursement, and scholarships…just to name a few! 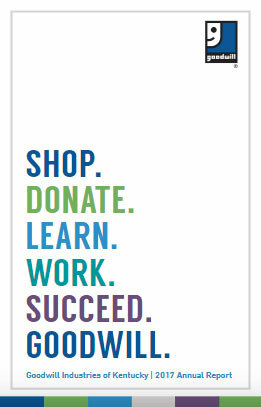 Goodwill is a nonprofit organization whose mission is largely funded by our stores. There’s a common misconception that Goodwill’s purpose is to provide inexpensive items for low-income families. We love offering reasonable prices, but we sell items in our stores to fund job preparation, job placement, and career path programs for Kentuckians who have disabilities or other barriers to entering the workforce. In 2017, we placed Kentuckians into more than 3,000 jobs, both within Goodwill and with various partnering employers (776, to be exact). 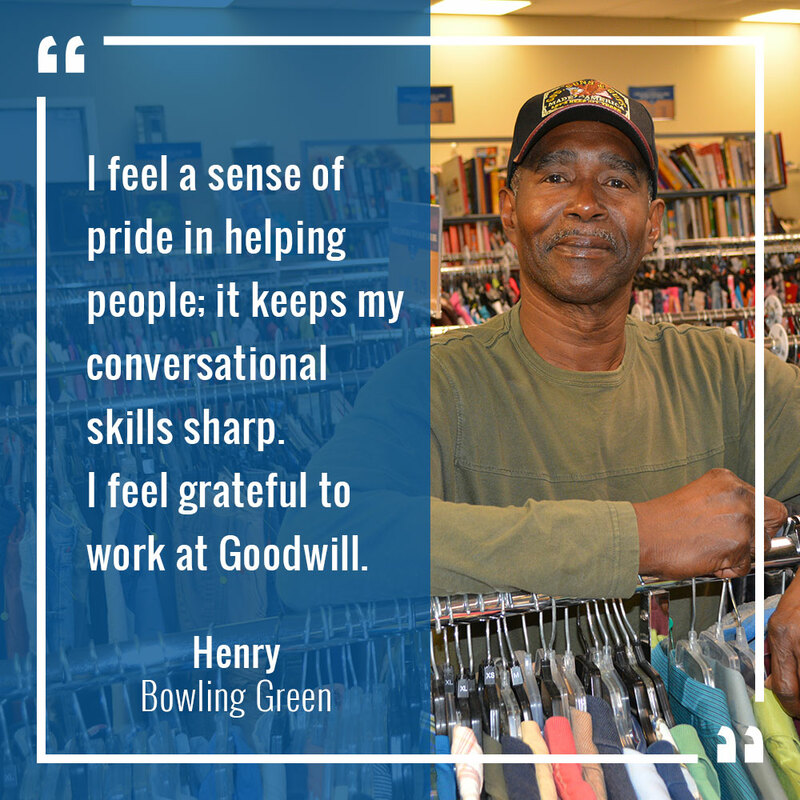 When you shop or donate at Goodwill, you are helping Kentuckians support themselves! About 87 cents per dollar support mission-related programming. The amount of overhead or administration isn’t the only way to judge a responsible nonprofit, but it is important. 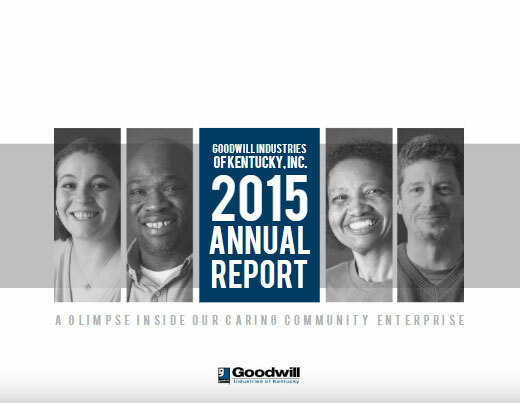 And so is this: Goodwill Industries of Kentucky earned a Gold Seal on Guide Star, and nationally, Goodwill was ranked as high as 11th on the list of the “20 Most Inspiring Companies” by Forbes magazine; in fact, Goodwill was the ONLY nonprofit on the Forbes list from 2011 to 2014. We may have helped someone you know. Annually, we touch the lives of 20,000+ Kentuckians in 103 counties. From our career fairs to resume-writing, to interviewing skills, Goodwill Industries of Kentucky helps your friends and neighbors get back to work. Nancy was working with adults who have disabilities for eight years before the organization closed. In need of part-time employment to supplement her babysitting income, Nancy prayed she’d find a meaningful employment opportunity. She was shopping at the Goodwill store in Columbia when the store manager mentioned a job opening. Nancy applied for the part-time position and joined the team in July 2016. In August 2017, Nancy was promoted to a full-time position, and a few months later, she was promoted to assistant manager! Nancy enjoys interacting with customers and working with her teammates. In 2016, Stephanie left Haiti for the United States. Soon after, she visited Goodwill’s program services office in Lexington for assistance in finding employment. In May 2017, she was hired as a full-time production clerk at the Meadowthorpe Goodwill store in Lexington. Despite having many challenges—such as limited English skills and lack of transportation—Stephanie maintains a positive attitude. When Jessica began working at the Middlesboro Goodwill store 15 years ago as a teenager, she owned only one pair of shoes. Jessica began her Goodwill career as a part-time production clerk and has worked her way up to assistant manager. In addition to holding down a job for nearly half her life, Jessica is the first person in her family to graduate from high school. After leaving the military in 1991, Henry obtained a nursing license and worked at Western State Hospital for three years. He left his job to move to Bowling Green to reconcile with his ex-wife and secured a job at the Corvette Assembly Plant. He retired in 2012. In May 2015, Experience Works, a program that places people 55 and older into employment and pays their wages during a training period, referred Henry to work at Goodwill. Homeless for five years, Donald’s camp was destroyed. At that moment, he realized he was ready to change his life. Through a social worker, he was referred to Goodwill, and for three months, worked as a temporary employee through Goodwill’s staffing agency. When a full-time position became available at the Mapleleaf store in Lexington, he applied and was hired. Within a year of beginning his career with Goodwill, Donald obtained independent transportation and an apartment. 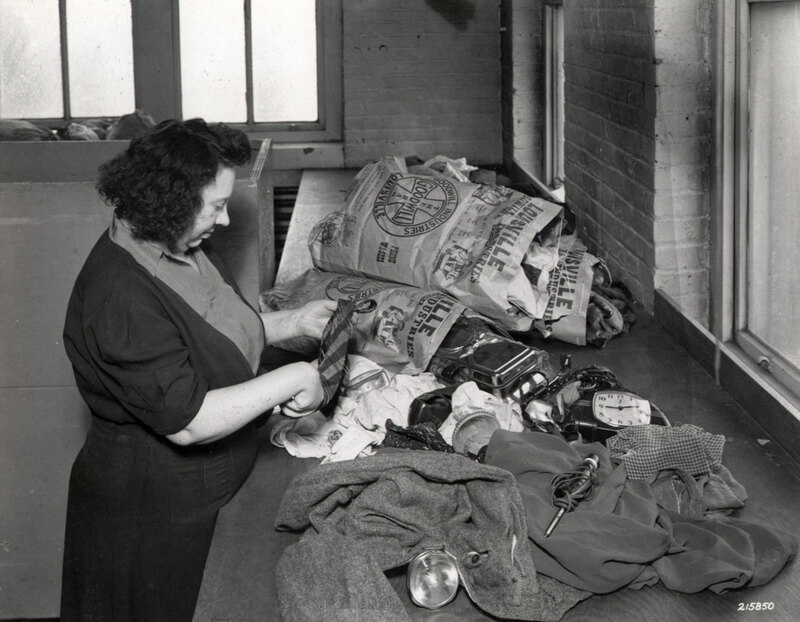 Clayton & Lambert Manufacturing Co.
What does Goodwill do with money made at the stores? First, they are employment and training sites for people with disabilities or other challenges. For many of our employees, Goodwill is a stepping stone; it’s a chance for them to get some work experience, build their skills, and then move on to an even better opportunity. Some of them stay with us for a long time, and that’s great, too! In 2017, Goodwill paid more than $13 million in wages to people with disabilities or other challenges—a feat made possible by your generous donations and patronage. Second, our stores generate revenue that pays for employment and career path services for job seekers across Kentucky who face barriers in finding and keeping a job. In 2017, we partnered with more than 700 employers to place Kentuckians into 3,300+ jobs. Why doesn’t Goodwill give things away? Goodwill’s founder, Reverend Edgar J. Helms, discovered that giving people a hand up—not a handout—resulted in a person feeling more dignity and self-worth. 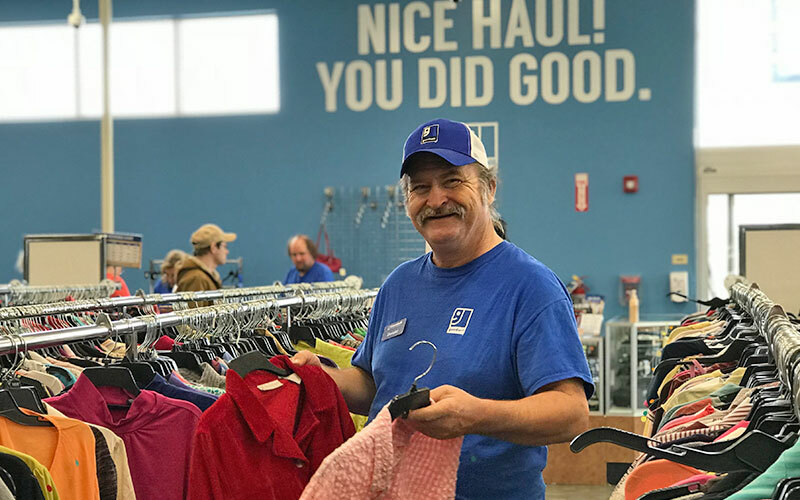 Goodwill’s purpose is to help people with disabilities or other challenges improve their lives by earning a paycheck and finding a path out of poverty. We do this by employing people in our stores and by helping people find career paths with other community employers. Revenue from the sale of donated items supports this mission. While Goodwill is not a disaster relief agency and lacks expertise in the logistics of providing widespread assistance, we recognize there are occasional instances when we can be helpful to individuals or families in emergency situations. We proudly partner with Community Action Kentucky (CAK), an agency with offices in every Kentucky county. CAK administers our voucher program so we can provide free resources for Kentuckians who need appropriate job interview or work attire, or who have experienced some other type of emergency in their lives and have some immediate needs. For more information about this program, contact your local Community Action Agency. Can I schedule a pick-up? Goodwill does not have a pick-up service, but we offer convenient drive-thru donation centers at 65 locations across Kentucky. Without the significant expense of a pick-up service, Goodwill is able to fund more career path programming for people with disabilities or other challenges. 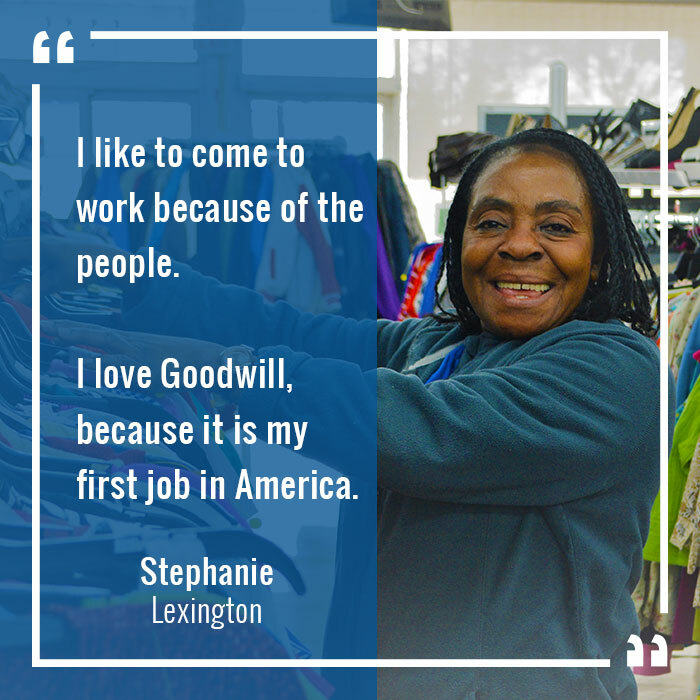 In 2017, Goodwill placed Kentuckians into 3,300+ jobs. Most of this was made possible from revenue generated from your donations and our commitment to keeping expenses low. About 87¢ of every dollar we receive is routed into programs or facilities to help people with disabilities or other challenges achieve and maintain employment to gain a better quality of life. What types of donations does Goodwill accept? Goodwill accepts new or gently-used clothing, household items, décor, jewelry, accessories, books, movies, music, furniture, dishes, cookware, toys, and much more. How do I value my donations for tax purposes? You are responsible for determining the fair market value of your donations to report on your taxes. The IRS provides guidelines for estimating your donation’s value. Do your stores have sales or discounts? Our stores have a Color of the Week sale. Each week, clothing items tagged with the designated color are 50% off Monday-Saturday and 99¢ on Sunday. Follow us on Facebook, Twitter, or Instagram for weekly updates. Why are prices different from store to store? Most items are priced in a standard way. However, items such as décor, furniture, and housewares vary so much in type, quality, and size that it is difficult to set standard prices. Local store management are permitted to use their discretion in pricing non-standard items. Goodwill is committed to reasonable pricing based on consumer buying trends. 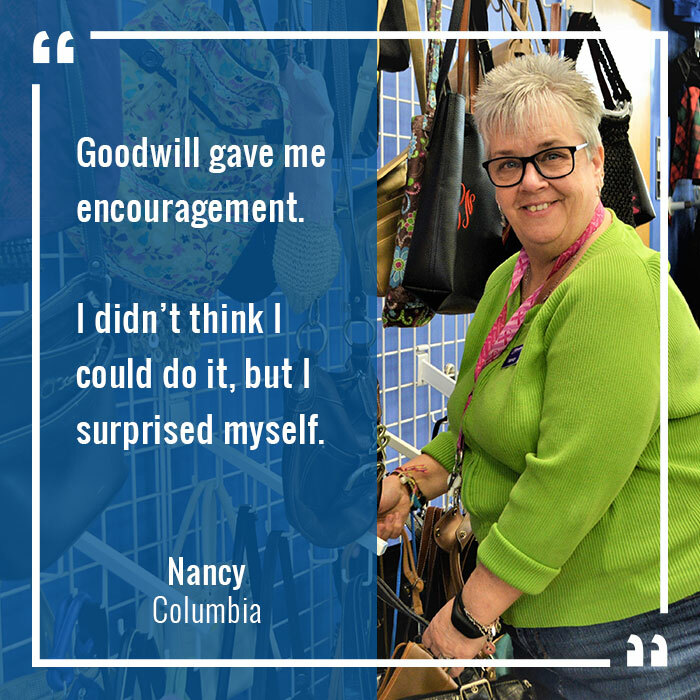 While most of our customers love their Goodwill finds – and some even donate them back to us! – we understand that sometimes things just don’t work out. Does Goodwill have a volunteer program? Yes! We greatly appreciate your donation of time! Learn more about our professional volunteer program. If you need to complete mandated community service hours, please contact your local store directly.